The graph shows the top 10 countries producing natural gas and natural gas production in the rest of the world in 2016. In Italy, not having significant reserves of hydrocarbons, the gas production (amounted to 5.65 billion cubic meters) covers only 8% of domestic consumption, amounted to 69.27 billion cubic meters. 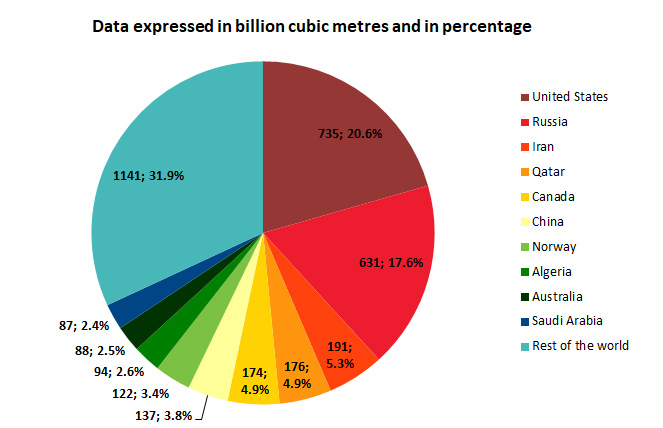 Therefore, Italy must import 92% of natural gas it consumes.